Linz Sews: Beejeeber's November Block! This month, Pat asked the Beejeebers to do a Carpenter's Star block! I have wanted to try this block for a while. It is a tOn of HSTs... seriously. 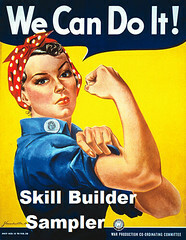 But - as with all blocks that take a lot of work, the end result is spectacular!! I am thrilled with how this came together!! 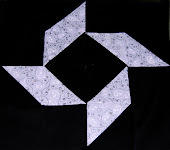 The tutorial for this block is found HERE! Pretty fabrics! I made a few Swoon blocks a looong time ago and am STILL burned out on HSTs! Love it Lindsay! It's a ton of HST's, right? That's why it's taken me so long to do my quilt of them! Wow, Linz, awesome. I love your colors! What a spectacular block. I can only imagine how the whole quilt will look! That is such an impressive block! Beautiful color combo! Wow! Great job! A quilt of these will be amazing! I LOVE your color choices on this. Beautifully done. I can't believe your Halloween costumes. Five Star Mom. So very stunning...I Love It!!! You are so talented. The block is simpley profection. The points are perfect and it is beautiful! !